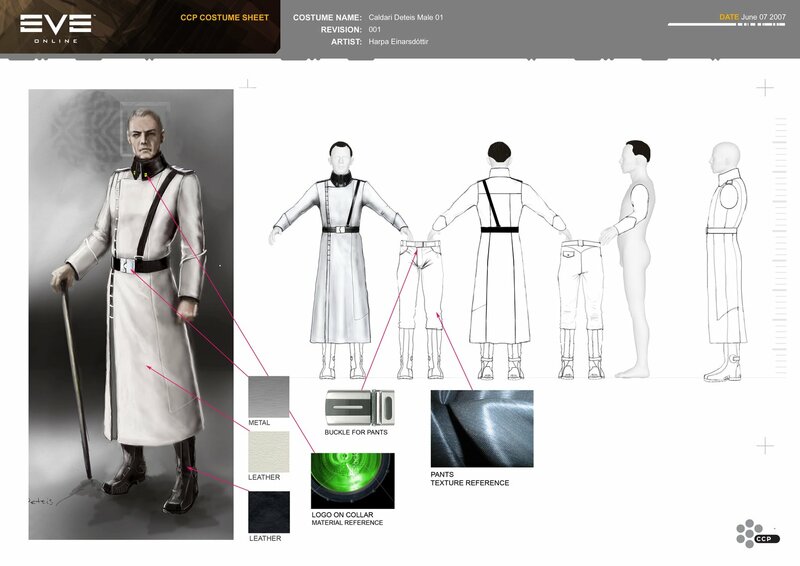 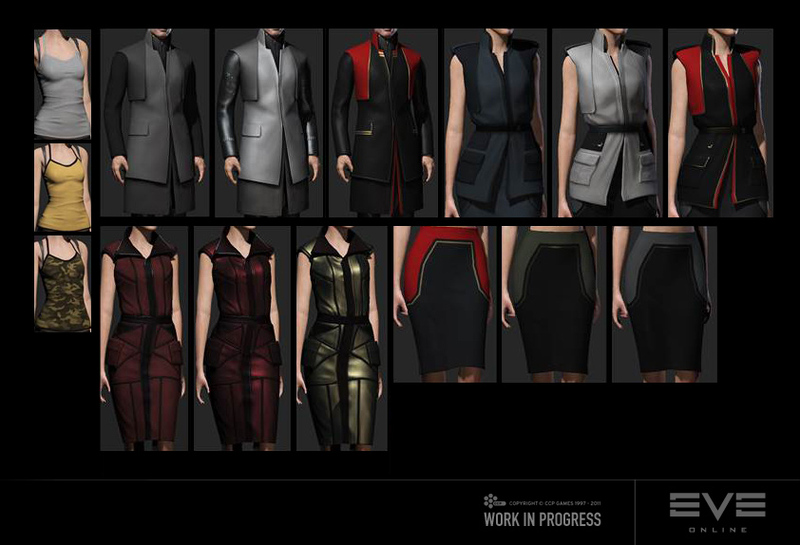 As a roleplayer, I was rather disappointed in the new clothing options that were provided in EVE Online’s new character creation system; we had expected something like this or this with the end result looking like this, and instead got this, which my fellow roleplayers began referring to as “SpaceGAP” due to its disappointingly generic and contemporary appearance. 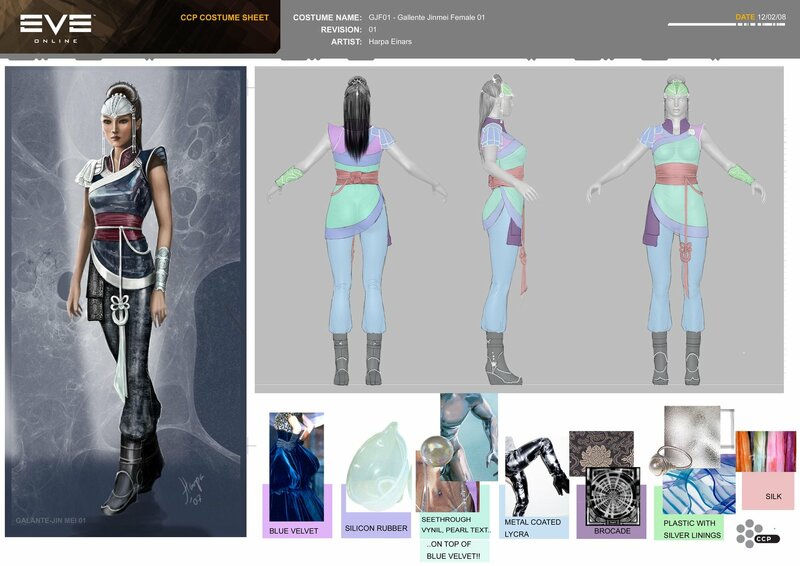 While the new engine looks a far sight less cartoonish and caricaturised, the clothing options in the old engine reflected the alien cultures better, despite the old characters being only head-and-shoulders models. 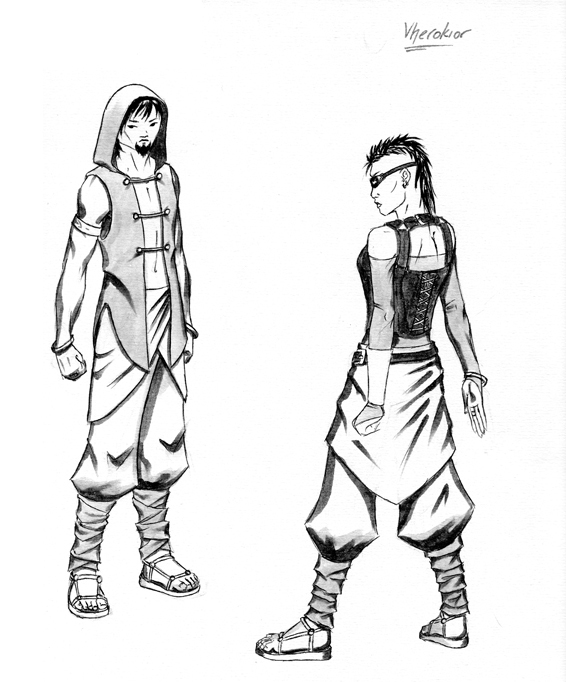 I took the old partial costumes for Vherokior characters and developed them into clothes that would better reflect the race’s desert nomad background than the current jeans and t-shirts options.